Cattane Commercial Ltd have sold Belgrave House, Monument Hill, Weybridge, a modern 4 storey office building comprising 7,932 sq ft with 20 car parking spaces at a price of £1,675,000, representing a net yield of 8.4%. 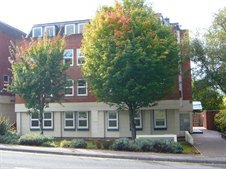 The building is let to Ward Williams Ltd and Consero London Ltd on 10 and 6 year terms respectively. If you are looking to sell a commercial property in the Surrey area please do not hesitate to contact Bob Cattaneo on 020 8546 2166.